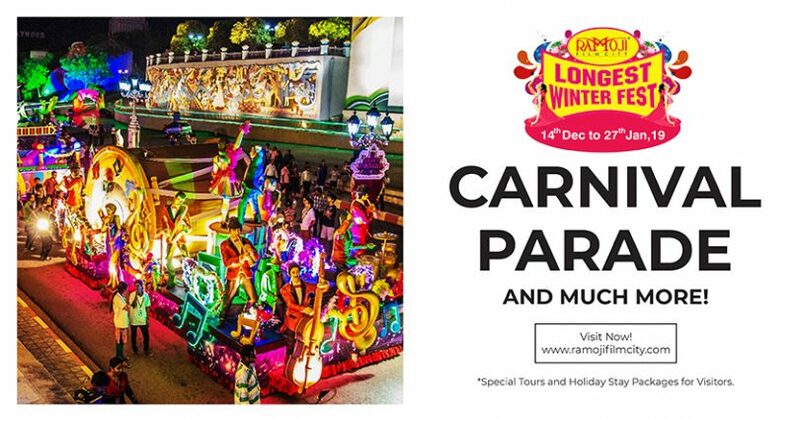 Pack your bags to discover holiday magic this winter at Ramoji Film City. 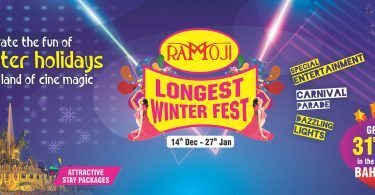 Ramoji Film City is superb choice to have absolute fun & joy for this winter. Let this chilling winter vacation be at a spectacular live film studio. Book exciting holiday packages to experience the most amazing live film city tour, dazzling illuminated film city, colourful carnival parade & Royal Bahubali Sets to enrich your cine-magic experience. Ramoji Film City has everything that you need for the perfect winter and holiday vacation. Block the dates & take advantage of amazing stay discounts with luxury accommodation to budget accommodation, heartwarming hospitality & exceptional multi-cuisine delicacies. Experience the winter chills by joining us for the joy of the season. On the eve of Christmas & New Year’s Eve Celebration, Ramoji Film City transforms itself into a sparkling wonderland. Come along with friends & family to experience the enticing beauty of gorgeous Celebrations. 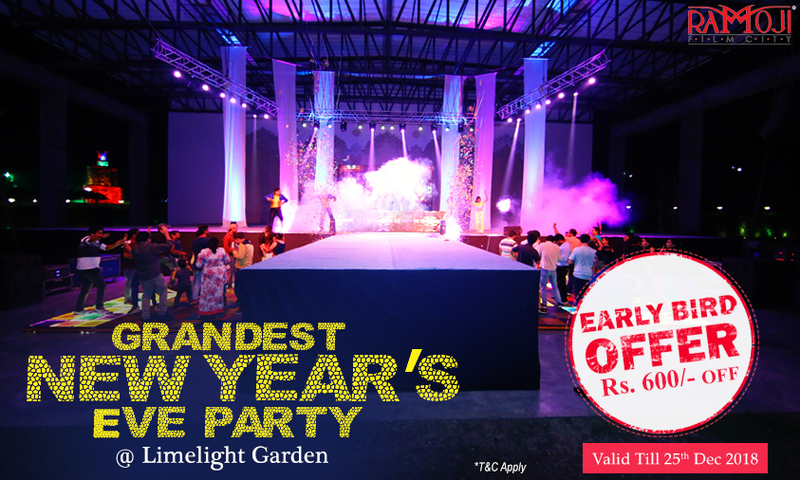 Experience the splendours of New Year’s Eve party with much-loaded fun & entertainment at Sprawling Open Air Venues – Limelight Garden & at the vicinity of Bahubali Sets. @ Limelight Garden – You will be spellbound with the dreams of Bollywood styled musical fiesta, Bollywood theme dance, stand up comedy show, spectacular International acts along with the pulsating beats of rocking DJ’s. Our definitive list of spectacular events definitely makes New Year’s Eve memorable. @ The Vicinity of Bahubali Sets you will be treated with enticing Tollygrand party with the Tollywood Fame Singers, stand-up comedy show, fabulous international acts spicing up with Emcee Vindhya Vishaka’s fun-filled live interaction. Rocking DJ’s scintillates New Year’s Eve Celebration with their their mesmerizing tunes, energetic rhythm, tempting you to start pairing up to tap your foot! What are you still waiting for? Hurry up & Book your tickets. Avail Early Bird Offers valid till 25th Dec’18. Limited Offer only.